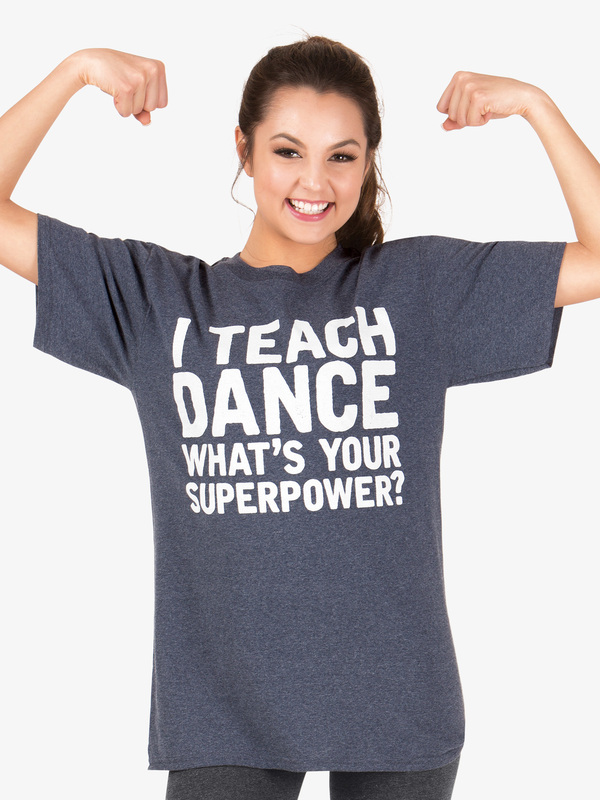 Latest Dance Shirts/Tops styles for women and children in a variety of styles from popular dancewear brands. Double Platinum Womens Metallic Cowl Back Dance Tank Top DS5134: Shimmer as bright as the stage lights themselves! Top features tank straps, a drape back, a longer length, and allover metallic fabric. Double Platinum Womens Metallic Wrap Front Dance Camisole Top DS5136: Shimmer as bright as the stage lights themselves! Top features camisole straps, a wrap front, a t-back, a cinched waist hem, and allover metallic fabric. Reverence Womens Mesh Short Sleeve Performance Tunic Top Set RV1214: Create a look that stands out with this tunic top featuring an allover eye-catching sheer wavy mesh, short sleeves, a high-low hem, and an included camisole shorty unitard. Reverence Womens Black Ice Halter Performance Crop Top RV8218P: Amp up the intensity in this halter crop top featuring allover metallic with diamond-shaped detail, a contrasting vertical front insert and straps, and a contrasting crisscross back. Top does not come rhinestoned. So Danca Womens Mesh Striped Short Sleeve Dance Bra Top L1088: A staple bra top for your dance wardrobe! 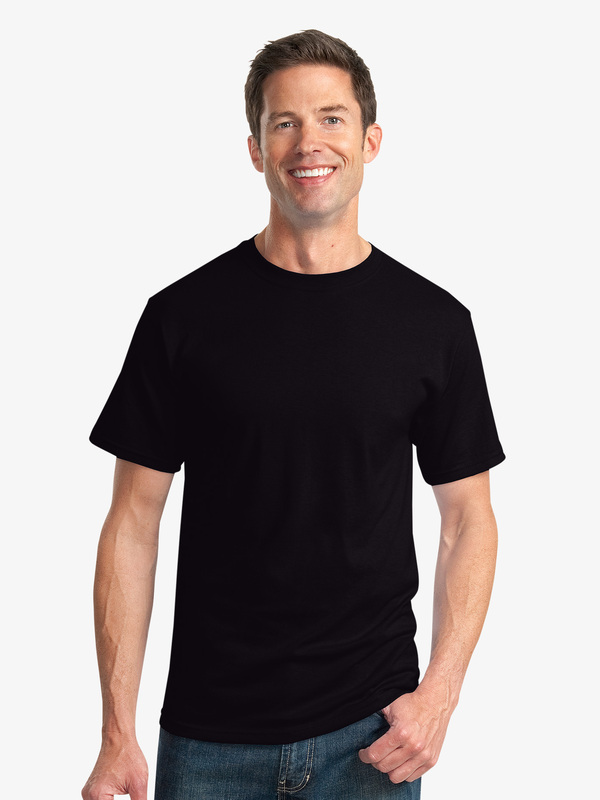 Features include mesh short sleeves with black trimming, subtle u-front, sheer mesh insert with single horizontal solid black stripe, black trimmed straight back, and matching sheer mesh insert with single horizontal solid black stripe. Features also include front lining. Also available in White. So Danca Adult Boatneck 3/4 Sleeve Crop Top RDE1564: This crop top may look basic from the front, but the trendy open back takes it to the next level! Features include a high scoop neckline, front lining, and an eye-catching keyhole opening in back. Perfect for class and performance alike! Body Wrappers Adult Mesh Neckline Camisole Dance Bra Top NL9018: Body Wrappers new shiny Nylon/Lycra competition separates will shimmer on or off stage. Mix and match to create a performance ensemble or dance costume that is unique as you are!This stylish camisole bra crop top looks great when paired with shorts for practice or with a matching skirt for modern performances. Features a mesh insert neckline and an open back. Top has front lining. Color Moss is made with matte fabric. Body Wrappers Adult Cap Sleeve Open Back Dance Crop Top NL9021: Body Wrappers new shiny Nylon/Lycra competition separates will shimmer on or off stage. Mix and match to create a performance ensemble that is unique as you are!This modern short sleeve crop top features a basic front paired with an eye-catching open back. Top has front lining and a covered elastic bottom hem to hold top securely in place. Color Moss is made with matte fabric. Body Wrappers Girls Performance Sheer Twinkle Mesh Halter Bra Top TW300: For extraordinary sparkle under the spotlight - the Twinkle Collection by Body Wrappers offers classic performance silhouettes designed with exclusive sequin mesh that shines as bright as you do. Halter top features a halter neck, sheer sequin mesh body, a neck closure, and a barely there-inch open back.Top is sheer and not lined. Bra underneath sold separately. Body Wrappers Girls Performance Twinkle Mesh Long Sleeve Crop Top TW302: For extraordinary sparkle under the spotlight Â– the Twinkle Collection by Body Wrappers offers classic performance silhouettes designed with exclusive sequin mesh that shines as bright as you do. This performance top features a mock neck, sheer twinkle sequin mesh long sleeves, a solid-colored bust, a neck closure, and a barely there-inch open back. Capezio Adult Turtleneck Long Sleeve Top TB107: This versatile long sleeve mock neck cropped top from Capezio's Team Basic's Collection features a supportive bottom hem and a matching zipper that can be worn either in the front or back to create several different looks. Top is unlined. Capezio Girls Team Basics Racerback Bra Top TB239C: From cheer practice to summer dance camp, Capezio has got you covered. Filled with flawless styles and Capezio's high-quality design, the new Team Basics Collection is a must-have for your entire team. This sports bra features tank straps, full front lining, a traditional racerback, and seamless sides to emphasize your clean lines. Capezio Womens Team Basics Racerback Bra Top TB239W: From cheer practice to summer dance camp, Capezio has got you covered. Filled with flawless styles and Capezio's high-quality design, the new Team Basics Collection is a must-have for your entire team. This sports bra features tank straps, full front lining, a traditional racerback, and seamless sides to emphasize your clean lines. 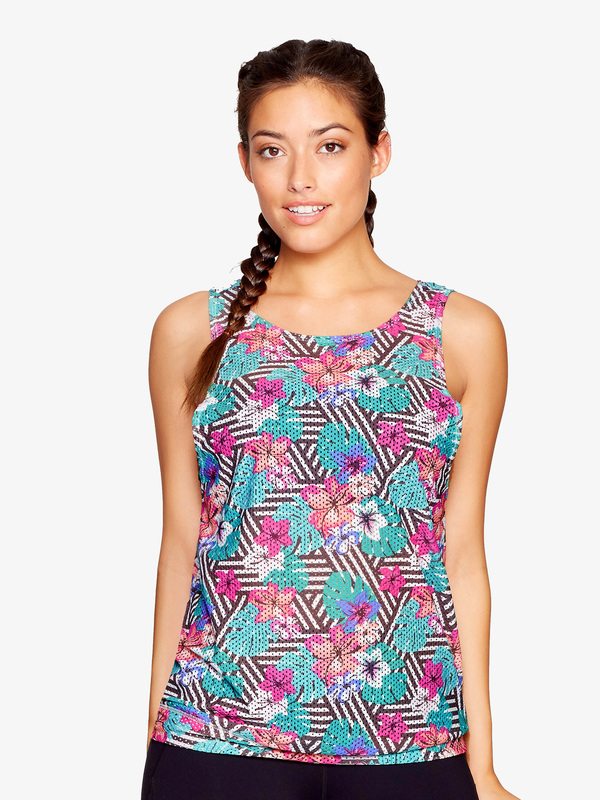 Colosseum Womens Paradise Print Mesh Fitness Tank Top BCTT30570P: Tone it up in this stylish fitness top featuring tank sleeves, scoop front, allover tropical printed mesh fabric that helps keep you cool, a looser relaxed feel, low scoop back with crisscross straps, and a reflective logo at the hem. Ivy Sky Performance Crystal Mock Neck Crop Top: A midi-length, matte nylon/spandex top with shoulder cutouts and exposed zipper in back for easy on and off. The mock neck and front of the top are embellished with crystals from Swarovski for brilliant sparkle on-stage. Swarovski crystals have 4x more facets and 2.5x the brilliance of acrylic rhinestones. The back is constructed of power mesh. Imported.Fabric : Matte Nylon/Spandex.Crystals range in size from ss12 to ss16 and ss20 and are all Crystal-colored crystals. Child sizes have an average of 253 crystals; adult sizes have an average of 325 crystals. Ivy Sky Performance Crystal Scallop Crop Top: This matte nylon/spandex crop top has cap sleeves and a scalloped design in front embellished with colored crystals by Swarovski for brilliant sparkle on stage. Swarovski crystals have 4x more facets and 2.5x the brilliance of acrylic rhinestones. The power mesh plunge inset in front is fully lined. All sizes are fully lined in front. Imported.Fabric : Matte Nylon/Spandex.Crystals range in size from ss16 to ss20. The Black colorway features Crystal, Jet, Black Diamond and Dark Grey Lacquer colored crystals. The Mocha colorway features Crystal, Greige and Light Colorado Topaz Shimmer colored crystals. Child sizes have an average of 234 crystals; adult sizes have an average of 269 crystals. Balera Long Sleeve Cropped Hoodie: A cropped hoodie constructed of lightweight French terry. The hoodie features dropped shoulders and long sleeves. Imported.Fabric : Cotton/Polyester/Spandex. Balera Cropped Hoodie With Fishnet: This french terry hoodie is constructed of large scale stretch fishnet sleeves with rib knit cuffs. Imported.Fabric : Polyester/Cotton/Spandex. Balera Athletic Racerback Jersey: This oversized, sporty tank top is made of mesh jersey with a racerback silhouette and trimmed in striped elastic. Imported.Fabric : Polyester. Balera Oversized Buffalo Plaid Shirt: An oversized, buffalo plaid shirt with functional snaps down the front. This long sleeve shirt is a great layering piece and can also be tied around the waist. Imported.Fabric : Rayon. Balera Oversized Crop Top: This lightweight, oversized crop top has short sleeves and a wide, neckline with a rolled edge that can be worn off the shoulders. Imported.Fabric : Cotton/Polyester. Balera Buffalo Plaid Flannel Shirt: Totally on-trend, this flannel, buffalo plaid shirt features a snap button front and front flap pockets. Bra top not included. Imported.Fabric : Cotton/Polyester. For jeans worn with this style, see Slashed Skinny Jeans - AH9210. Balera Shirred Mesh Crop Top: This feminine crop top features front and back mesh yokes and a shirred mesh overlay in front for elegant, stage-ready style. With princess seams, a sweetheart neckline and a smooth back overlay. Full front liner. Imported.Fabric : Nylon/Polyester/Spandex.For the skirt worn with this style, see High-Waist Mesh Maxi Skirt - S7823.